Join Normann and find out why it’s good to be a Normann Temporary! At Normann, our temporary employees are as important to us as the clients we serve. This has been our hallmark since 1968. We are a local company with knowledge of the area and clients we serve. We have long term relationships with many of our temporary employees. Our Job Listing includes clerical, administrative specialists, warehouse, and social services. 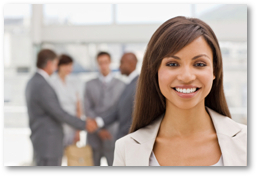 We have dedicated Staffing Coordinators to work with you through the application, interview and assignment process. And we are always just a phone call away. Normann offers its employees paid time off, direct deposit, recruitment recognition and refresher tutorials. Best of all we work personally with you to find the right placement – where your skills are appreciated and your experience is respected.